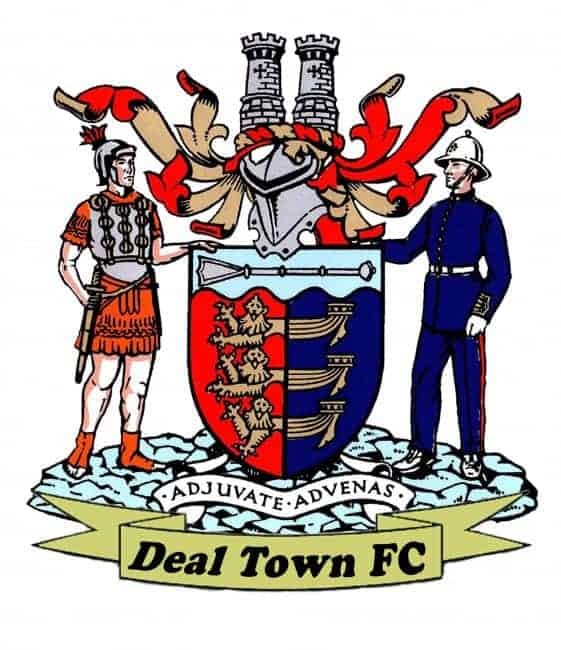 Deal could have no real complaints as they bowed out of the FA Vase to lower league opposition in Tuesday’s second round qualifying replay at the Charles Ground. Two first-half mistakes by Hoops keeper Chris Waymark were both punished by Glebe captain George King’s left-foot and then substitute Sam Long, who had scored the Chislehurst side’s equaliser in Saturday’s 1-1 first meeting, wrapped up their place in the next round after Deal were caught out by a long goal-kick in the closing stages. The Hoops had slightly the better of the opening 25 minutes only to fall behind to the Southern Counties East League Division 1 side just before the half-hour mark when King curled a 20-yard free-kick in off a post which Waymark appeared to think was going wide. But Deal were back on level terms 10 minutes later when, after a “pinball session” in the Glebe area, during Grant Bagley struck the woodwork, the ball finally fell for Joe Reeves to steer home his fourth goal of the season. However, disaster then struck for the Hoops three minutes later when Waymark brought down Elyon Marshall-Katung for a clear penalty, and King confidently despatched the spot kick. With Deal struggling to convert their possession into goals so far this season, they faced an uphill task in the second half against a resolute Glebe defence and although Connor Coyne twice went close in the space of a few minutes, the Hoops were caught short at the back when Glebe keeper Adam Molloy launched a quick clearance 10 minutes from time and Long ran through to secure Glebe a trip to Shoreham in the next round. Deal: Waymark, Paxman, O’Brien (Smith 60), Bagley, Bigginton (Adams 67), Reeves, Scott, Anderson (A Coyne 82), Walsh, Miller, C Coyne.